For Office 365 modern authentication, since the authentication token will remain for a certain period of time according to Microsoft specification, once logging in, the user will remain in the session and will continue to be able to use the application even outside of the range of HENNGE Access Control for a certain period of time. In this scenario, is there a way to disable modern authentication for Office 365 applications? You can disable modern authentication by following the instruction below. If .NET Framework 4.5 or higher is not yet installed, please download the installation from the following site. ※Windows 10 and Windows Server 2016 are not required. You can download the installation of Windows Management Framework 5.0 from the following site. ※Windows 10 and Windows Server 2016 are not required. For Windows Server 2008 SP1 and Windows 7 SP1, installation of Windows Management Framework 4.0 is required. 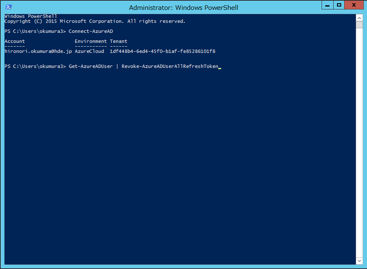 Open Windows PowerShell and enter the following command. Answer "Y" to all the questions displayed and proceed to the end of the installation. 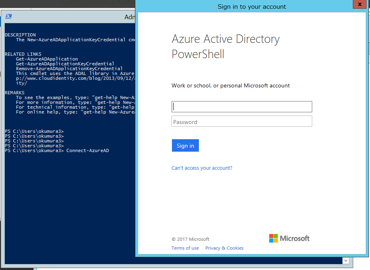 Enter the following command in Windows PowerShell and enter administrator ID and password for Azure Active Directory (same as Office 365 administrator ID and password. To disable modern authentication for all users, enter the following command in Windows PowerShell. ※Note that It will take some time for the setting of authentication to become effective. 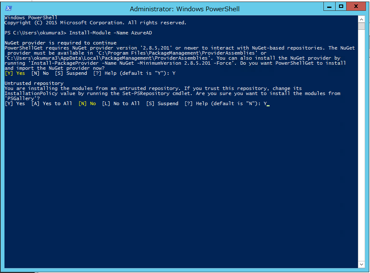 To disable modern authentication for individual user, enter the following command in Windows PowerShell.